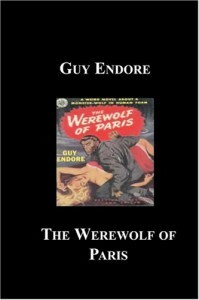 The Werewolf of Paris is an interesting book. Part horror story and part historical fiction, it follows the travails of the titular werewolf of Paris from his birth to his death, as well as his place in the blood-drenched moment of history known as the Franco-Prussian War that was followed by the ill-fated Paris Commune. Interestingly the werewolf in question, Bertrand Caillet, is actually something of a secondary character in his own tale, as it is told from the perspective of his adoptive father Aymar Galliez. We never see the wolf itself in action, and despite some tantalizing clues built upon separate pieces of evidence, the actual lycanthropy of Bertrand could as easily be interpreted as a purely psychological affliction as opposed to a supernatural one. Add to that the fact that we are being told this tale third-hand (Endore’s conceit being that his story is being constructed from the reports and reminiscences of Galliez who had to put the pieces together mostly second-hand, interspersed with Endore’s own researches into the documents of the period) and the truth or fiction of the lyncanthropy in question becomes even greater. Sometimes this conceit does not always benefit Endore’s story, for there are many scenes and events that occur within the text that would have been clearly outside of the knowledge of Galliez or any documentary sources of the day…still that is a quibble for something that really is a novel and quite an enjoyable one at that. Endore starts his ‘documentary’ with a tale taken from the annals of history that purports to enlighten us as to the ultimate origins of our werewolf. It is a sordid tale of feuding nobility wherein the Pitamonts and Pitavals, after having waged generations of warfare against each other, finally end their feud in mutual impoverishment and one of the last of the Pitamonts is held captive for years by the last of the Pitavals. His imprisonment is an inhuman one, and he is left to suffer in a literal hole in the ground, fed nothing save raw meat. This apparently triggers his transformation into the wolf-man of legend. Our tale truly begins, however, when Josephine, a young peasant girl newly arrived in Paris, is raped by a priest, a descendant of the last of the Pitamonts, and bears Bertrand, a child destined to bring forth the family curse. We follow Bertrand in his young life, at first so full of promise and then slowly brought to near ruin by his ever-increasing taste for blood. Strange things begin to happen in Bertrand’s village: animals go missing or turn up dead, recent corpses are found exhumed and partially eaten. What could be happening? Slowly Bertrand’s “uncle” Aymar (the nephew of the woman who had taken in Josephine and the man who ends up becoming responsible for both mother and child) begins to put the pieces of the puzzle together and see that everything leads back to his nephew. At first he tries to slake the thirst of the monster inside Bertrand by feeding the boy raw meat and keeping him confined to the house. This only has limited efficacy and soon more drastic measures need to be taken. Ultimately the boy is able to escape his well-meant prison and, starving to appease his lusts, goes on a spree of murder and terror that takes him to Paris. Here, amidst the confusion of the end of the Franco-Prussian war and the rise of the Commune Bertrand is able to satisfy most of his hungers free from persecution or discovery. 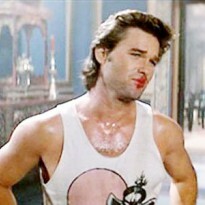 But his Uncle Aymar is spurred on by regret and remorse. He feels responsible for the release of this beast upon the world, a beast he is convinced is a supernatural terror, and decides to hunt him down. The rest of the tale details his attempts to find Bertrand and his slowly dawning discovery amidst the chaos and death that seems to permanently reside in Paris that perhaps mankind itself is the true monster. Side by side with this runs the parallel story of Bertrand and his fortuitous discovery of a lover not only able, but willing to supply him with a conduit for the slaking of his varied lusts…it is an interesting picture of depravity, lust and mutual co-dependence. Of course things come to a head and the piper must be paid. Endore’s overarching purpose is, I think, not really to tell a werewolf story, but a desire to expose the bloodthirsty nature of mankind, for which the werewolf of the title becomes little more than a symbol, or even a contrast to this thesis, since one lone werewolf, no matter how savage, can never hope to decimate the lives of which plain old human conflict is capable. For, as even Aymar the unstinting hunter of the wolf must admit, if the hands of “normal” men are able to commit and rationalize the cold-blooded killing of 20,000 commoners as part of the reaction against the Commune (not to mention those killed by the Commune itself in its heyday, or the casualties of the Franco-Prussian war before it) then “What was a werewolf who had killed a couple of prostitutes, who had dug up a few corpses…?” Endore, and by extension Aymar, even postulates that the very existence of the werewolf may have been nothing more than the sickness of the time manifesting itself physically…though it is left open-ended in a chicken-and-egg way whether it is the madness of the time that allowed the wolf to be born, or whether it was the existence of the wolf that could infect mankind with its madness and bloodlust. Overall this was a good tale, though I would say it came across much more as historical fiction for me than as pure horror (which in my opinion is fine). It has also been claimed that this is the “Dracula for Werewolves” and I’m not sure if I agree. Certainly it shares similarities with Dracula in its documentary format and is a well-written, and even seminal, version of the werewolf myth, but I am not widely enough read in werewolf stories to say whether or not it is the best of them. Also, the ambiguity of the actual ‘reality’ of Bertrand’s lyncanthropy and his relatively secondary role as a character in the story makes me think that while this is a good tale well worth reading, it may not be the ultimate exemplar of werewolf fiction.